Twitter placed the account of popular conservative radio host and author Michael L. Brown on lock for 12 hours on Monday after it was deemed that two of his tweets about the ongoing persecution of Christians at the hands of Fulani herdsmen in Nigeria were deemed "hateful." Brown, the host of the nationally syndicated "Line of Fire" radio show and a prominent proponent of Messianic Judaism, authored an op-ed published by The Stream Sunday calling on Nigerian President Muhammadu Buhari to step up and take action to protect the Christian communities regularly attacked by Muslim fulani herdsman. The piece comes as church leaders in Nigeria have said that around 6,000 people have been killed by Fulani herdsman since January. Brown promoted his piece on his social media accounts. Although he ran into no issues with Facebook and received posts of confirmation from Nigerian readers with their own experiences, an "internet war" broke out on Twitter between Nigerians accusing Brown of lying and spreading fake news and other Nigerians who affirmed what Brown had wrote to be true. In his initial tweet promoting the article, Brown stated that "Christians are being slaughtered in Nigeria -- babies hacked up; children brutalized; women raped; people burned alive -- while the Muslim govt. does nothing." Brown explained in a follow-up op-ed that he responded to critics who either denied the slaughter of Christians, claimed that both Muslims and Christians were being killed equally by the herdsmen or that the motivation for the killings was not religious at all. In response to one person, Brown wrote: "Muslims are slaughtering Christians. It's outright religious butchering. That's the truth, regardless of what the local media tells you." In another response, Brown wrote: "I deeply disagree with you. We've been following this for years. It's nothing new. Just the Fulani herdsman and President Buhari are adding to the mix. (My last comment to you.) And yes, Muslims kill other Muslims. That's true. But that's the evil of radical Islam." Brown told The Christian Post in an email that because he is a late sleeper, he didn't check his Twitter until mid-morning Monday. When he did, he learned that Twitter had placed restrictions his account because it was determined that the two tweets responding to critics violated Twitter's rules on "hateful conduct." Although he could still send direct messages, Brown could no longer tweet, retweet or like other posts. Even though he initially filed an appeal of Twitter's decision to put him in a 12-hour timeout, he received an automated response saying that someone would get back to him in a few days. Brown chose to delete the offending tweets so that the the 12-hour countdown for his full reinstatement would begin. It wasn't until about after 11 p.m. Monday night that Brown was able to tweet again. "What? Hateful conduct?" Brown wrote in his Monday op-ed. "I was exposing hateful — actually, murderous — conduct. I was not promoting violence against other groups. I was calling for the president of Nigeria to combat the violence." "Plus, I stated that Muslims also kill Muslims (an undeniable, almost daily reality). I made specific reference to 'radical Islam' so as not to indict all Muslims," he continued. "Yet somehow, I broke Twitter rules and engaged in hateful conduct. What a travesty! Twitter is silencing the very voices calling for justice and urging that innocent children, women, and men be protected. How can this be?" Brown told CP that a number of people had reported him to Twitter, adding that he "unleashed a hornet's nest of opposition" that came from either "Muslims or anti-Christian Nigerian leaders or others." "I'm hoping Twitter simply overreacted and failed to read my posts in context. But the worst case scenario is very chilling: If radicalized Muslims are slaughtering Christians and you report on it, you will get punished," Brown wrote in an email. "This is beyond outrageous, it is perverse. That's why the first tweet I sent out when my suspension was lifted was a link to my article reporting on what Twitter had done. I'm more determined than ever to shout the message from the rooftops. If enough of us do that, these social media giants will have to back down, even for economic reasons alone. If they don't, God will raise up other means for us to get the message out. Now is not the time to be silent or cower in a corner." 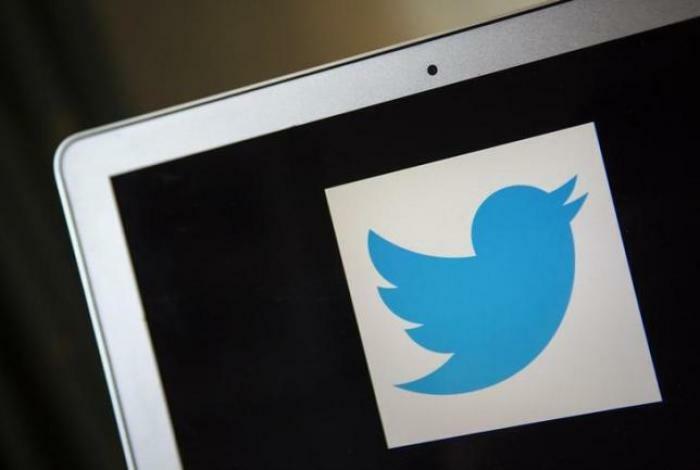 A Twitter representative told CP that the company could not publicly comment on individual accounts for privacy and security reasons. However, Brown later receieved a response Tuesday from Twitter telling him that his account had been restored and that the decision was made in "error." "We have restored your account, and we apologize for any inconvenience this may have caused," a message to Brown from the Twitter Support team reads. "Twitter takes reports of violations of the Twitter Rules very seriously. After reviewing your account, it looks like we made an error." As many other religious conservatives have voiced concern about censorship on social media, this is not the first time that Brown has run into issues with social media. He explained that he was onced suspended by Facebook for sharing a meme quoting Hamas but was later reinstated after Facebook apologized. He stated that the company thought that it was actually Brown calling for the extermination of Jews in Israel, not the Palestinian fundamentalist organization. Brown also voiced concern last year after YouTube demonetized many of his videos on his "AskDrBrown" account.